Bulgaria is showing sings of becoming a popular choice for overseas property buyers again as rock bottom prices attract those seeking holiday homes. The country has returned to the top ten of an overseas property portal for the first time in three years. Some 3% of all enquires were directed at Bulgarian property, according to the report from TheMoveChannel.com. ‘As the Euro debt crisis continues, people are looking for bargain investments and holiday homes at low costs. Bulgaria’s real estate sales have been improving all year, with buyers attracted by exceptionally low prices for winter property, so it’s no surprise that interest has increased,’ said director Dan Johnson. The latest real estate figures show that Bulgaria’s residential property prices are still falling, although most data relates to the country’s main cities while second homeowners tend to be more interested in coastal locations. Overall prices have now fallen by 6.4% year on year, according to the figures from the National Statistics Institute (NSI.) data shows. In the second quarter of the year they are down 1.6% compared with the same period in 2010. Some 23 three regional cities registered quarterly drops in prices, with Veliko Turnovo recording the most significant decline of 5.5%, followed by Gabrovo down 5.4% and Vidin and Plovdiv both down 4.7%. Residential prices in the capital Sofia fell by 2.1% in the second quarter while prices in Varna edged up 0.9%. The highest rise in house prices was 1.3% in Rousse and Blagoevgrad. The average price of flats in the country was 908.98 leva per square meter in the second quarter, the figures also show. Meanwhile, data from Raiffeisen Real Estate show a slightly different picture. They say that prices in Sofia dropped by 10.1% in the second quarter of 2011 compared with the same period of the previous year. However, on a quarterly basis prices in the city increased by 3.6%. In Plovdiv, Bulgaria’s second largest city, prices of residential properties sold in the second quarter fell by 2.6% year on year but edged up 0.2% quarter on quarter. In the Black Sea city of Varna, the country’s third largest, average housing prices fell by 6.9% year on year and by 1.5% in quarterly terms. Since the beginning of the year, the country’s residential property market has started to stabilize, albeit at a slow pace, Raiffeisen Real Estate said. 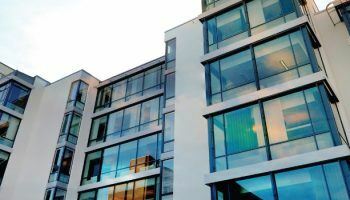 The market is primarily driven by buyers looking for housing for themselves, seeking the best ratio between price and quality of the property, according to the report. "In the Black Sea city of Varna, the country’s third largest, average housing prices fell by 6.9% year on year and by 1.5% in quarterly terms." Consider the fact that housing prices rose about 300% when the foreigners "discovered" us a few years back. A 6.9% drop is great for foreign investors, but citizens are still screwed. Raw, unadulterated greed. raw unadulterated greed? your fellow countrymen didnt have to sell to us foreigners. and besides it is us foreigners who are supplying the income required to build up your country's holiday destinations, increasing your tourism and providing jobs for local people. i would also like to point out that it is also us foreigners who have taken the hit from the decline in property prices, and most like myself are now sitting with a property worth just 40% of what was initially paid for it.